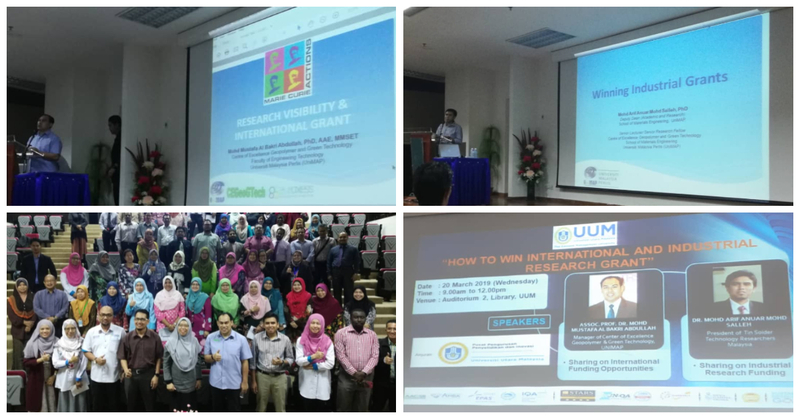 A sharing of knowledge on Research Visibility and How to Win International and Industrial Research Grants was carried out by Associate Professor Dr. Mohd Mustafa Al Bakri Abdullah and Dr Mohd Arif Anuar Mohd Salleh at Universiti Utara Malaysia (UUM) on 20th March 2019. Both speakers are from Universiti Malaysia Perlis (UniMAP) and Representatives of MCAA Southeast Asia. This seminar was organised by the Research Management and Innovation Center, UUM.